Florida native and young producer XXYYXX is back again with a new one called "Chaser." Previously, he took sort of a small hiatus, but then emerged with few new tunes and even a video. This song is dedicated to two friends of his, who are twins and moved away from his hometown. 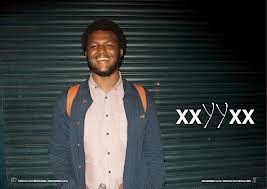 But XXYYXX wanted to dedicate a song for their birthday and "Chaser" was born. Stream ti below.